Geriatric care requires special knowledge, and care of older patients may sometimes take a unique approach. 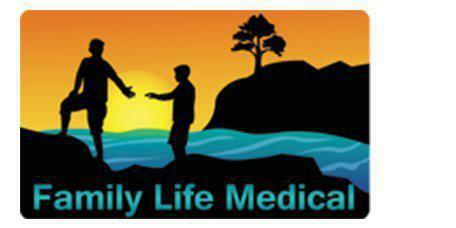 Dr. Kyle Scarborough at Family Life Medical in Conroe, Texas has both the medical knowledge and the compassionate approach needed to treat patients in their golden years. What are the most frequent medical issues for seniors? Seniors have their own special set of challenges. As the body starts to change, the risk for some conditions increases while other health concerns may be less important. Falls are a common issue for seniors. With age, the bones become brittle, and this means that a simple fall can turn into a major problem that requires specialized recovery. As a person ages, heart disease becomes a concern. Diabetes, arthritis, respiratory illnesses, osteoporosis, and the flu also happen to older people more often. Seniors tend to have a less robust immune system, which may leave them vulnerable to many illnesses that they were better able to resist when they were young. What does a geriatric check-up include? At Family Life Medical, a geriatric check-up focuses on health problems unique to seniors. Dr. Scarborough always checks the patient's blood pressure, so it can be compared to past readings and used as a baseline for comparison in the future. Height and weight are checked to see if there are any significant changes that warrant investigation. For example, a patient who has lost a couple of inches in height may be suffering from osteoporosis, while a change in weight could be a sign of fluid retention or other issues. Most geriatric check-ups include blood tests, which evaluate glucose level, thyroid function, electrolytes, and much more. An EKG is performed to evaluate heart function, as well. Other tests and evaluations may be done if indicated by the patient's condition or if the patient has a concern about something specific. When do geriatric patients need to see the doctor? Geriatric patients should see the doctor at least once a year. If the patient has special health concerns, Dr. Scarborough may recommend more frequent visits. The majority of geriatric health issues can be treated effectively if they’re discovered early enough. Quality of life plays a significant role in all medical decisions, and Dr. Scarborough works with patients to determine the best medical care for them.